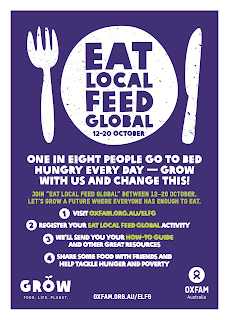 Join “EAT LOCAL FEED GLOBAL” between 12–20 October. Let’s Grow A Future where everyone has enough to eat. Oxfam Australia would like to invite you to celebrate this World Food Day and help grow a future where everyone has enough to eat. Join us to Eat Local Feed Global – register your support now. With the newly elected Government’s plan to strip $4.5 billion from the planned increase in the aid budget, your interest in making a real difference to those less fortunate around the world is more important than ever. So we’re inviting you to be part of a global movement to celebrate World Food Day between 12-20 October. Register now to host a get-together and raise funds for Eat Local Feed Global! You can celebrate any way you choose – cook up a storm to impress your family, share a lunch or morning tea with work mates, or just have a drink with your friends. A week dedicated to food is a great opportunity to remember the 1 in 8 people worldwide without enough to eat. There’s no better time to raise awareness about global hunger amongst your network! 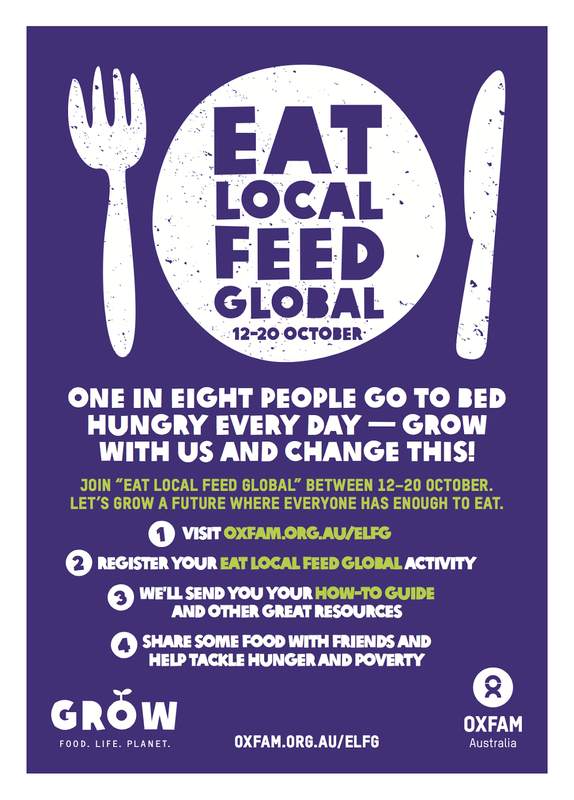 Register for Eat Local Feed Global now and you’ll also go in the draw to win an Oxfam Shop Vegetarian Cookbook! We’ll send you a pack of great resources, like tips on how you, and your friends, family and workmates, can build a better food future for millions of people while eating sustainably. Email: oliviah@oxfam.org.au if you would like to attend.